That is how Daniel Sturridge described his pre-game ritual in the run-in of the 2013-14 season when he scored twenty four times and Liverpool came close to winning the league title. It is a clever way to fill what could easily become a negative space – the coach ride to the game - where anxiety and nerves might build up to ruin a player’s performance before a ball has been kicked. 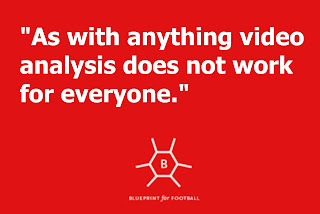 It is also one of the more practical ways through which video analysis can be used even at the highest level. The practise of trying to visualise success has now worked its way into many professions, not just sports, yet few have the luxury of being able to see themselves successfully doing what they want to do. Video can provide that luxury. 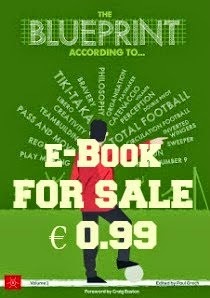 The popular belief is that the use of video lies largely in the analysis of past games as well as to provide insight into future opponents and it is quite an accurate perception. Yet, as the Sturridge example show, it is a tool that can be used to achieve much more than that depending there is real knowledge on how to do so. This latter aspect is crucial. Whilst at a professional level there are people with the specialised training to do so – video analysts and sports psychologist in particular – at lower levels it is very much based on intuition. 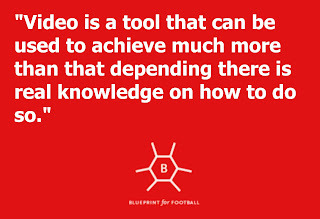 Coaches try to implement something because they are convinced that video can help but often have to do so within the limitations of time, ability and resources that they have. 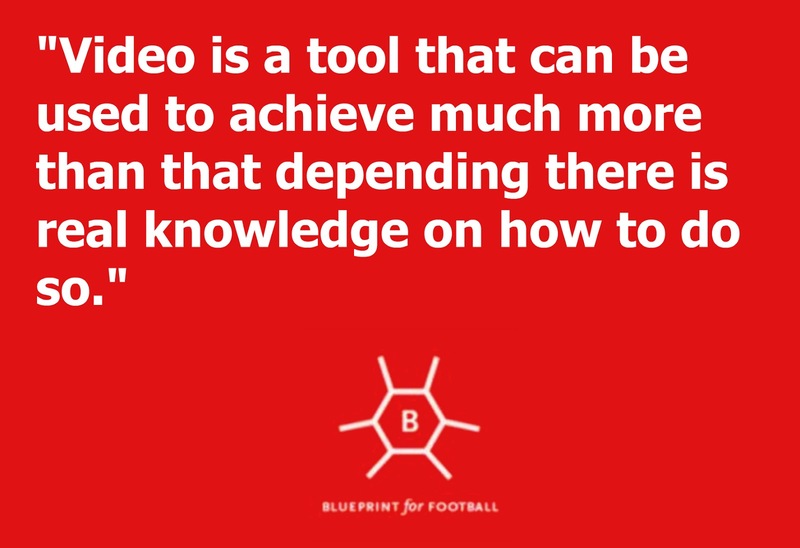 Yet the possible impact of video analysis is huge especially if you consider the massive advances in technology that has put such analysis within the reach of a larger number of people than ever before. being able to look within yourself in order to develop. Carol Dweck, the Professor of Psychology at Stanford University and the author of Mindset, coined the phrase growth mindset which essentially means that ability to look at recent successes and failures in order to determine what lessons can be taken forward. 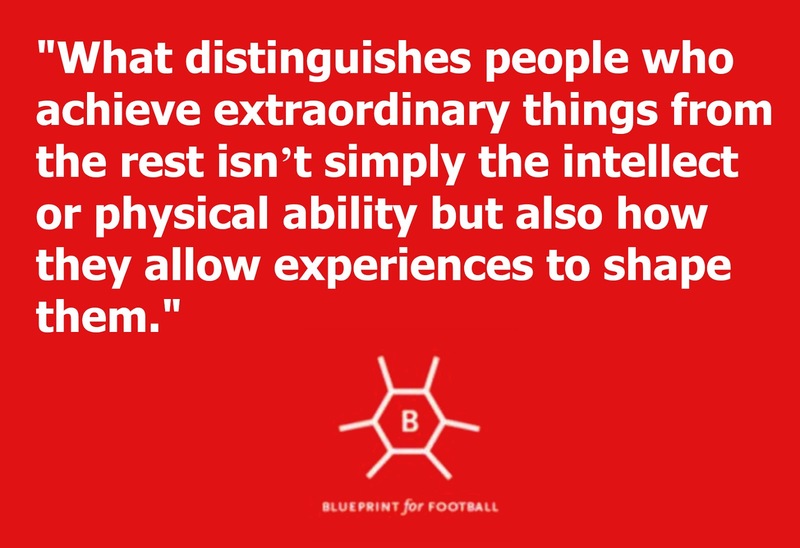 What distinguishes people who achieve extraordinary things from the rest isn’t simply the intellect or physical ability but also how they allow experiences to shape them. Even if you take the past decade alone, there are dozens of footballers who failed to achieve what they should have not because of lack of talent but because of their attitude. 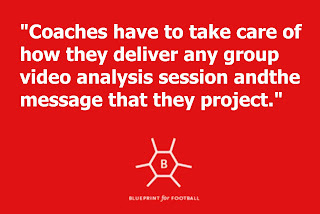 This knowledge adds a layer of responsibility on coaches (and teachers). It is no longer enough to teach children how to execute a task, you have to allow them to learn to see where they got it wrong and how they can change matters. Obviously, video is ideal for this purpose. Observing oneself and others is one of the strongest mechanisms for transmitting behaviours, attitudes and values. This is commonly referred to as experiential learning: the process of learning through reflection on doing. Often it is difficult to comprehend abstract ideas like when a striker should make a run or the moment when a defender should step up for the offside trap to work. This process, however, is rendered significantly simpler when there is a video that the individual can see of himself and through which he can drill into the mechanics of what he got wrong or right. For this to be effective there is the need for someone to point out the minutia – how to recognise when and what type of run to make, for instance - and provide the necessary guidance. This does not mean constant handholding - which is both impossible and impractical - but it does require a certain level of individual attention that is often triggered by specific practical dilemmas. Yet learning can be of a different nature as video provides the individual with more information than ever before to deal with potential threats during upcoming games. Seeing what a direct rival likes to do allows the individual to prepare himself for the threat so that when they face each other on the pitch there is already a pattern in his head and he does not have to spend time thinking of how to handle a specific movement. 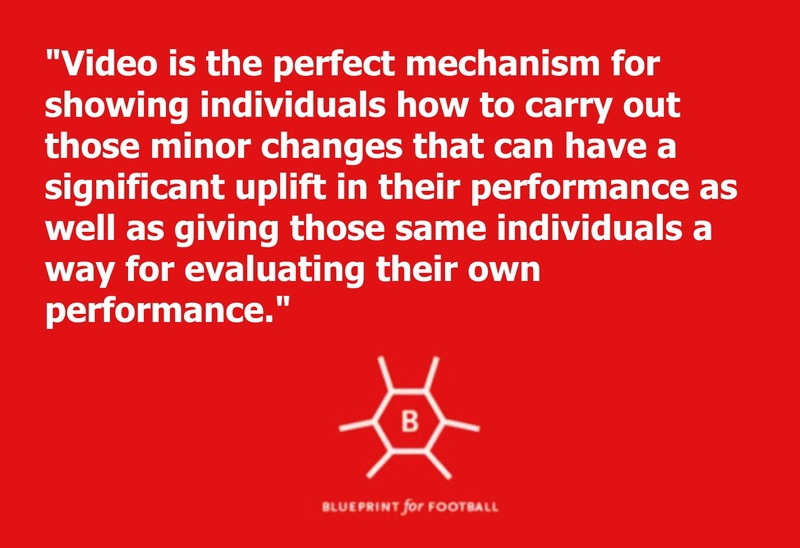 Essentially, video is the perfect mechanism for showing individuals how to carry out those minor changes that can have a significant uplift in their performance as well as giving those same individuals a way for evaluating their own performance. Eventually the aim is for the individual to be able to analyse his own performances and those of upcoming opponents to such an extent that he will be able to gauge what he did wrong during games or what he needs to be aware of. The need for external inputs will be minimised. blame others for ones’ own mistakes can be too hard to resist if all one is doing is looking at his footage on his own. 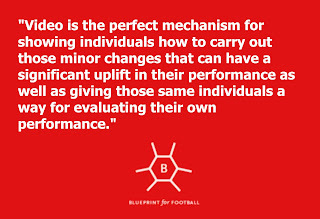 It is why group sessions where the whole team reviews footage of past games, dissecting them in order to identify what they got right and what needs to be improved, are important. Such a group analysis holds all players accountable and provides the jolt that is occasionally needed in order to step up and improve focus. Not everyone is a fan of this approach and it is easy to understand why. Criticism isn’t always easy to take especially if teenagers (for whom the image that they hold within the group is extremely important) are involved. 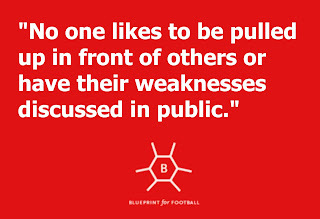 No one likes to be pulled up in front of others or have their weaknesses discussed in public. At the same time, the ability to learn to deal with this pressure of being in the spotlight is also a necessary skill especially for those who are in professional academies and who hope to make it to the highest level. If one does not learn to cope with having a couple dozen people looking at how he did, what hope does he have of handling the pressure of performing in front of thousands of people? 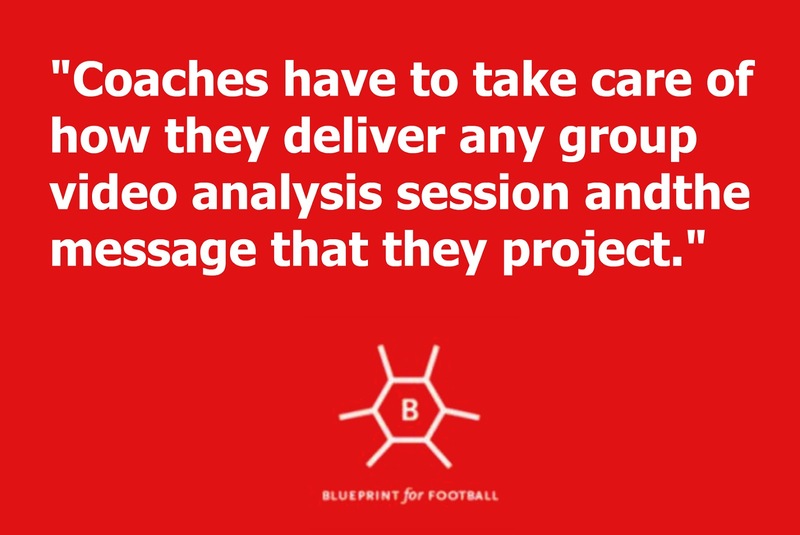 That, however, does not excuse the coaches from taking care of how they deliver any group video analysis session and, in particular, the message that they project. In such situations it is the confident players who tend to thrive taking on the comments without letting them effect their view of themselves. 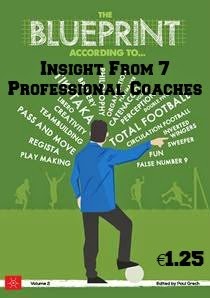 Less confident players, however, are usually less comfortable in these sessions and rather than helping them such public analysis can bring their game down. It is largely because of these players that coaches need to ensure that the aim is clear of these sessions is clear – that of improvement – so as to ensure that no one feels the need to hide. Ranting, then, or being overly aggressive when going over individual mistakes should be avoided because such actions nullify the positive intentions behind the exercise. There are other pitfalls that coaches have to look out for. Overly long session invariably become boring and repetitive which again nullifies the benefits of the whole analysis. On the flip side, coaches have to beware not to overly hype players. Watching clips of goals before a game – ala Sturridge - is a good way of getting a player to visualise their success and create mental pictures that can be used during the games. Yet another player watching a similar video with the wrong kind of music can do more than that: it may end up with that player sent off or getting injured by ‘pushing’ him to go into rash challenges. 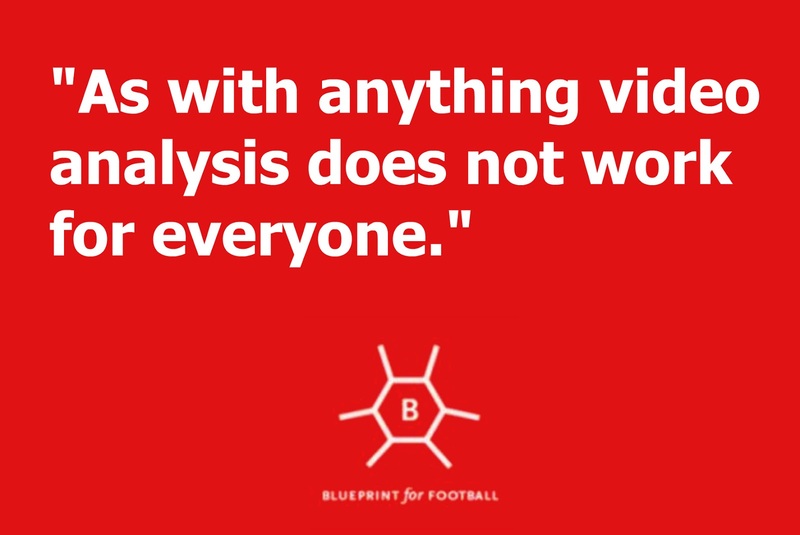 As with anything video analysis does not work for everyone. There will be those who consider it to be a useless waste of time for whom it will be extremely difficult to buy into such analysis. 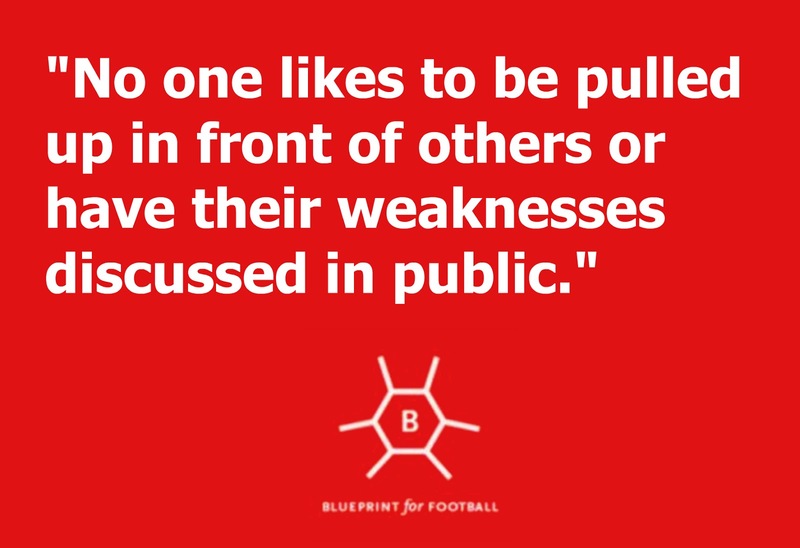 Coaches should be aware of such players to ensure that their cynicism does not influence others whilst at the same time avoid falling into the trap of trying to force it down anyone’s throats. The important thing is focusing on those for whom such analysis does make an impact. Even if the potential impact is slight, coaches have the responsibility to learn as much as they can and do whatever is in their power to maximise it. 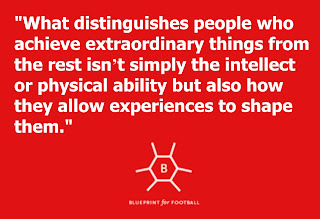 Join our list to keep informed on what's going on at Blueprint for Football and the world of football coaching. Emails are sent about once per week, unsubscribe anytime.